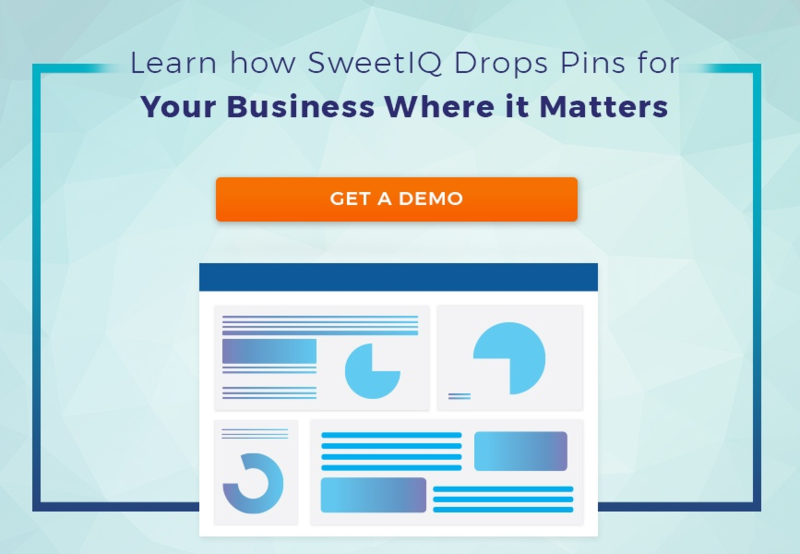 The holiday shopping season is upon us once again, and SweetIQ is back with even more praise for the power of insights. As always, we want to help your brand to take their actionable analytics and transform them into highly-targeted local marketing campaigns. Excellent data makes for informed decisions, which help brands win over their competitors, especially during the most make-or-break retail period of the year. We’ve refreshed our info on how to harvest insights from Foursquare, Bing, Facebook and Google My Business, and this year, as an added bonus, we’ve thrown a bit of Snapchat into the mix. We’ve compiled all of the most important tidbits of information here, so keep this page bookmarked for when you’re trying to hit your revenue goals in 2018 and need a handy reference. Here we go! The most recent numbers on Foursquare indicate that the popular check-in app has amassed 50 million active monthly users, 87 million tips and 12 billion check-ins in its short history. No matter how you do the math, that’s a significant trove of info from which to glean valuable data — one that’s not to be missed out on! What’s more, it’s hard not to find a place that’s completely slammed during the holiday season, whether a restaurant, bar, shopping mall, hotel or airport. Consumers are out and about, and looking for the best places to go — and they want to snag some deals along the way. Do the analytics you have suggest that your bar or restaurant seems to have more check-ins from the 35–45 crowd on weeknights? Do these users give tips on appetizers and the must-try items from the cocktail menu? If so, why not create offers on those popular items and target your key demographic to get them on site and celebrating at your spot instead of somewhere else? Give your Foursquare Family something to talk about! If you create interesting, photo-worthy moments for your visitors, you increase your chances of collecting some sweet (and extremely valuable) UGC. For example, you can create branded backdrops for customers to photograph, or even stylized props for a photo shoot. It’s “a lot,” in case you did forget. Airports have historically been the most checked-in place on Foursquare, and people predominantly rely on the app for trusted information when they’re on the road. Use that knowledge to your advantage to attract and welcome the newcomers in your city. Could you give a coupon to people from another province or state, perhaps? Understand that Foursquare is a travelers’ app and adapt your strategy accordingly. 2. Bing: Claim Your Space! Now! You may have noticed that we’ve mentioned Bing once or twice over the years — and with good reason! Just because Google seemingly gets all the love and adoration from searchers doesn’t mean you should let Bing fly under your radar. If the fit is right, it’s important that your marketing team considers Bing as a key player in your local strategy. If you’re not convinced, consider this: Bing owns around a quarter of the global search pie (33% in the United States as of August 2017), and a very crucial, ready-to-buy demographic relies on Bing to conduct searches. The SweetIQ platform generates data for you to see exactly how many impressions your business locations are receiving on Bing, which can help you make sense of just how much you should focus on it. Your Competitors Are Probably Forgetting About Bing, So Invade That Space! Bing’s “irrelevance” is a widespread misconception, but this is what makes it a great secret weapon — use it to your advantage and dominate the space over your competitors. The first piece of the puzzle, of course, is your local listings: claim, complete and verify all of your brand locations. Track your listings to ensure accuracy across the board. Does your Bing data reveal that your listings generate more impressions on Mondays and Tuesdays than later in the week? Seeing as local searchers often visit a store within the same 24 hours you can take this information and deduce that holiday shoppers may be looking to shop on weekdays rather than weekends. If you’re prepared for when they might visit, you can also do additional research to understand just who this demographic might be. We’ll offer you some key insights right now: 71% of Bing’s audience is 35 and older and 46% of users make over $75,000 a year. Does your business have specific deals on products or services to entice this demographic? If so, plan accordingly! Facebook is an incredibly competitive landscape. It has evolved from a social media site for college students into an advertising staple, generating an impressive $10.142 billion in ad revenue in the third quarter of 2017 alone. Not to mention the fact that the site boasts a remarkable 2.072 billion monthly active users around the world. What does this mean for you? You need to cut through all of the noise and reach the right people, so a strategic marketing campaign fueled by insights is your best bet for location-specific campaigns. Armed with this information about your Facebook audience for each of your brand’s locations, you can run campaigns based on what promotions a specific demographic might be interested in. For example, if you run a home renovations franchise and you see your age demographics are consistently in the 35–45 range across the directory, that should give you the insight to run a lookalike campaign to reach new audiences in all cities with store locations. It’s important to remember that, no matter what, marketing teams have to come up with highly engaging content in order to “win” the Facebook battle. When you have data on follows/unfollows, as well as shared content clicks and post reach, you gain valuable info on what type of content your audience finds engaging. Here, the equation is simple: provide your audience with the type of content to which they respond most. If infographics do the trick, use the same format to advertise your holiday sales. If your followers are partial to images over text, put your camera to good use and get posting. You get the idea! Remember how we told you earlier that Bing has roughly a third of the global search pie on their plate? Well, the rest of it belongs to Google (ok, almost). But you probably already knew that. After all, the most ubiquitous search engine out there handles nearly 2 trillion searches per year, which works out to be about 40,000 queries every second and 3.5 billion searches per day. Needless to say, our reliance on Google is no secret. If you have the analytics to find out how visitors found you — and who they are — you can set yourself up for success. Harvesting these insights when traffic volume is at its highest over the holiday seasons is a no-brainer. There are two essential pieces to the puzzle here: you need to how your traffic found you and where your traffic is coming from. Did your consumer type in “best shoe store in New York City” and click on one of your ad campaigns? Did he or she simply type “best shoe store,” expecting that Google would recognize the search was coming from New York City? From there, did they get directed to your closest locations because your local presence is clean and accurate? Or, did they land on your website through an organic search, which lead them to a piece of blog content on the best styles for 2017? Both of these are good options: if you’re buying ads and you’re converting searchers, you’re finding the right eyes. If you’re aiming locally and ensuring your info is clean as a whistle, you’re a shoe-in to be found by customers in your area code. And, if you’re ranking organically for a highly competitive search, that means you have quality, engaging content according to the infamously difficult-to-please Google algorithms. The key thing here is to see if there is a big discrepancy: are you getting a ton of organic traffic, yet little to no paid keyword success? If there’s a significant divide, you will need to adjust your plans accordingly. Do you see that you have an insane amount of traffic volume coming from the west coast, but barely anything on the east coast? 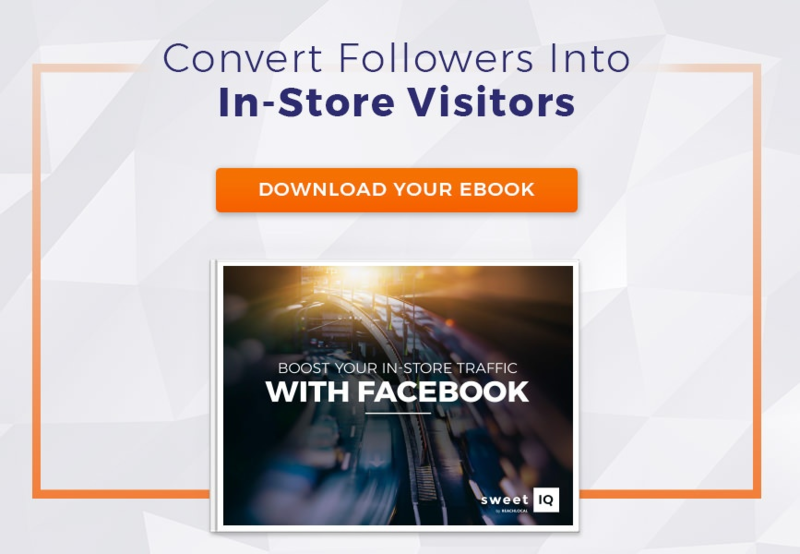 When you have this information, you can make informed predictions on what stores will see the most foot traffic (and prepare accordingly), you can also see where you might need to make adjustments in your campaigns on a location-specific basis. Take this situation for example: if your market is highly competitive in a certain city and you’re not getting a ton of traffic there, perhaps you need to increase spend on AdWords to ensure you’re capitalizing on “micro-moments” and converting local searchers into buyers. Otherwise, you might want to rethink your organic strategy so it accounts for local searching in a highly-targeted way. If you see a clear pattern between high search volume and heavy foot traffic, you can focus your efforts on the places you know you’re going to be swamped for additional local marketing campaigns. For example, encourage store visitors to leave reviews on your key directories, or create and advertise your brand’s Snapchat Geofilter. Speaking of Snapchat (and Geofilters, for that matter), it’s about time you explored the possibility of adding it to your repertoire, assuming you haven’t already. We won’t deny that, depending on your target audience, there’s an outside chance it’s just not the appropriate channel for you. That being said, despite whatever misconceptions exist out there about it being too young, too hip or too unintuitive, the simple fact is that Snapchat’s user base comprises 301 million monthly active users, 71% of whom are under the age of 34 and 43% of whom are checking in for at least 30 minutes daily in North America, collectively viewing nearly 10 billion snaps per day. Most importantly, though, 76% of Snapchat users are also online shoppers, which is an undeniably large amount to sleep on when there’s just so much key data just waiting to be harvested at the most local of levels. Snapchat has a few very useful features you’ll want to take for a spin (including its latest, Context Cards), but the one we always come back to is Geofilters. They can shape the way younger audiences interact with your business, which is particularly useful if you want to drive mobile shoppers to your brick-and-mortar over the holidays, or you have a holiday-themed event you want them to engage with. And, if that weren’t useful enough, you can talk to us about setting up your Snapchat Geofilter campaigns. We’ve been known to strengthen your brand a two with the ones we’ve concocted, so don’t hesitate to get at us! Feeling overwhelmed by all the data out there? We get it. Start with the simplest and easiest platform, and from there you’ll know what you need to do with the others. Just don’t get paralyzed by the scope of it all – this data will help you run cleaner, more targeted and successful campaigns – start small and build from there!